"It seems Rahul is under the illusion and enjoying defeat as victory. This shows his dynastic arrogance and is an insult to the people's mandate," Senior BJP leader Prakash Javadekar said. NEW DELHI: The BJP today ridiculed Rahul Gandhi and said he was "enjoying defeat as victory" under the illusion that the performance of the Congress in the Gujarat polls had come as a big jolt to the ruling party. Senior BJP leader Prakash Javadekar claimed the poll outcome had actually jolted the Congress. "We (the BJP) won both state Assembly elections and in Gujarat for the sixth time. Actually this is a jolt for the Congress," Javadekar told reporters here. The Union minister also alleged that the Congress tried to adopt divisive politics in Gujarat. However, people put their faith in Modi and in his development agenda, he said. Javadekar said he was amused to hear that the Congress president had described the results as a big jolt to the BJP. "It seems Rahul is under the illusion and enjoying defeat as victory. This shows his dynastic arrogance and is an insult to the people's mandate," he said. Earlier, calling the Gujarat poll outcome a "very good result" and a moral victory for the Congress, Gandhi said Modi's credibility had been questioned. 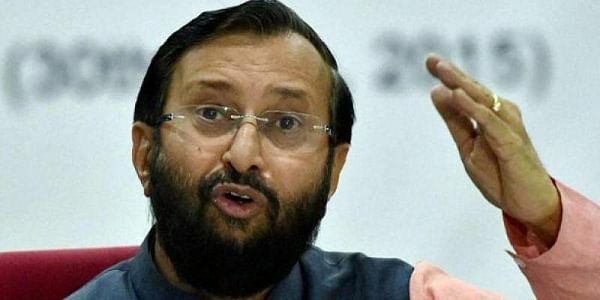 Reacting sharply to the remark, Javadekar said it was the Congress which was losing its credibility among the people in the country, because of which, he added, the party was losing election after election. After yesterday's victory in Gujarat and Himachal Pradesh, the BJP-led NDA is in power in 19 states in the country. Attributing the BJP's success to Modi's development model, Javadekar said it had worked and "caught the imagination of the people". He also rejected Congress allegations of corruption in the multi-billion-dollar Rafale jet deal, saying that it was a "very transparent" defence procurement and added that, unlike during the Congress rule, there was no corruption in defence deals inked by the BJP. "This is a government-to-government deal, and it is not Bofors and there is no Quattrocchi here," he said, referring to the Bofors gun deal in which there were allegations of kickbacks in the procurement of Howitzer artillery guns. The scandal also involved middleman Ottavio Quattrocchi.